Hillman Homes are NOT A PROJECT HOME BUILDER. Let's get that right from the start. Our Values - to create each Hillman Home to be completely unique & enhance the lives of our clients - energy efficiency - sustainability - function and form - maximising asset value - enhancing lifestyle elements Some of the reasons our clients choose to build with us; -We provide complete custom design and build solutions. We design your home and we build it. -We only build 20 homes per year, allowing us to engage the same contractors on every job. This helps us to maintain quality control and deliver homes that meet our high standards. -Many of our sub-contractors have been working with us for over 10 years -The structure of our company and our focus on listening to our customers allows us to provide unrivalled customer service to each and every client. -Our commitment to customer service and quality construction has been recognised through the HIA awards on several occasions. -We start each new home from a blank canvas and never build the same design twice, ensuring you get a unique home that completely matches your family and lifestyle. -We are a 6 time winner of the HIA’s professional small-medium builder of the year award! Choose VOGUE Lifestyle to build for you……and your project or development will be thoughtfully managed. We ensure that your experience of the building process is logical and uncomplicated but also exciting and rewarding. We specialise in building custom designed homes and high-end renovations, as well as projects that require a unique approach. 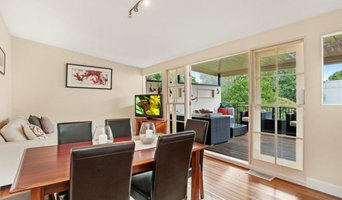 With a reputation for excellence and quality in home building in Newcastle, Sydney’s North Shore and South East Qld. 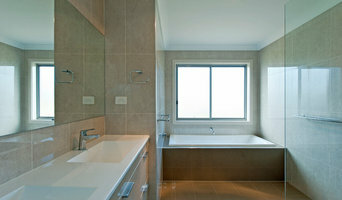 Smith and Sons Wyong are professional renovation builders. The franchise is owned and operated by Ben Falconer who is an experienced enthusiastic builder who wants you, his client, to experience a renovation or extension that has you feeling relaxed and satisfied all through the process of construction and beyond. My experience as a Builder and Building Inspector has developed a skill set that attends to the details and complexities that can sometimes arise through the construction process when embarking on a renovation and or extension. My construction portfolio over the years has had me carry out construction projects from new homes, knock down rebuilds multi developments, to the smaller roof top and room extensions. My attention to detail holds me apart from my competitors and my can do attitude has left me with a long line of satisfied clientele. I have been in the building industry on the central coast for over 23 years and a Wyong local heavily involved with my young family and the community in which I live. I have developed the ability to listen to the client's concepts and ideas and turn that into a reality, without compromising design, quality, or price. 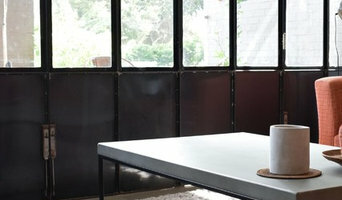 Luke Beasley is a building and landscape designer based in Newcastle NSW and principal of LB DESIGN. Luke specialises in residential and commercial projects and offers a complete suite of design services from concept design to documentation and construction administration. With a background as a Carpenter /Joiner and degree in Architecture, Luke has been involved with many unique builds over the last thirty years and draws on this experience as a designer and building consultant. Luke’s design philosophy focuses on architecturally sophisticated and environmentally responsible solutions with a focus on craftsmanship and connection to the landscape. The design process is characterised by Luke’s passion for the built and natural environments, and a collaborative exchange with client, skilled trades and consultants in realising a project’s unique requirements. Web Design Newcastle (TOP RATED) also provides digital marketing solutions, like social media management as well as a digital content strategy for those who would love to improve their traffic. Their personnel has many years of expertise in ensuring that clients will certainly derive absolutely nothing, but the highest level of service that people always go to them for your marketing campaign needs. Web Design Newcastle is managed by Phil Cook who has a fine focus on details, and knowledge of their practice. Developing a comprehensive web design services plan is the first and most essential step in establishing a web design services that is likely to succeed. If you start a web design services without a marketing strategy, your efforts to create a healthy web design services will fail. Here is some information that should help guide you in the right direction. Always be cautious if you are interviewing and hiring new employees. Prior to any hiring, make certain that you know the candidate has extensive experience and all the necessary certifications they may need to perform this job. Additionally, avoid future problems by making sure that the people you employee receive the training needed for them to perform up to your expectations. Successful businesses have happy employees that achieve work possibilities and their goals. Built for Good are highly experienced Newcastle based property developers with a wealth of practical experience in planning, estimating, preparing development applications and holistic project management. We are a dynamic property development company. who have been based in Port Macquarie, New South Wales since 1997. We comprise of a group of dreamers and problem solvers, designers and planners. We are go-getter's and work tirelessly to achieve great outcomes . We do what we say and deliver what we promise. Firms that can carry out both design and construction in Newcastle, New South Wales take on the combined responsibilities of an architect, draftsman, construction company and additional contractors, providing one point of contact for homeowners. Having one entity responsible for the entire design and build, from estimation to subcontracting and even post-construction, streamlines and often speeds up the project significantly. Having a unified project team can also help you avoid unforeseen costs and delays in construction. In addition, the homeowner only has to interpret one contract with the design and construction firm, and not with various architectural design and contracting professionals. However, depending on the firm, you may still want to contact an interior designer or architect to help create the exact look you want. Here are some related professionals and vendors to complement the work of design & construction firms: Interior Designers & Decorators, Landscape Architects & Designers, Architects, Photographers. Project management demands time, skills and an eye for both detail and efficiency. While many homeowners choose to manage their own projects, they can often regret their decision once the build or home improvement project is complete. Homeowners should carefully consider the time they have available to allocate to locating, hiring and eventually paying every contractor who enters the site. From certifiers to roofers, and even your draftsman, a firm that can undertake design and construction in Newcastle, New South Wales benefits from having all of these home professionals under one roof. 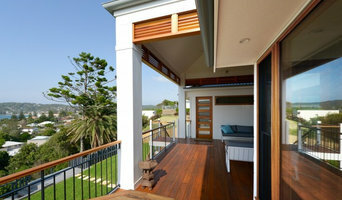 Find a Newcastle, New South Wales design-build firm on Houzz. Scroll through this page to find design-build firms in your area. You can browse recent projects, read reviews and message the firm directly. 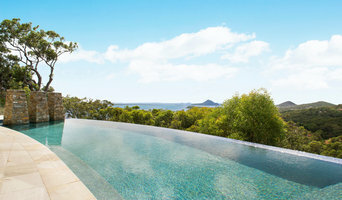 Another way to find a firm that can carry out design and construction in Newcastle, New South Wales is to browse Photos on Houzz. If there’s a photo you like, find out who designed and constructed it and strike up a conversation with the professional responsible.